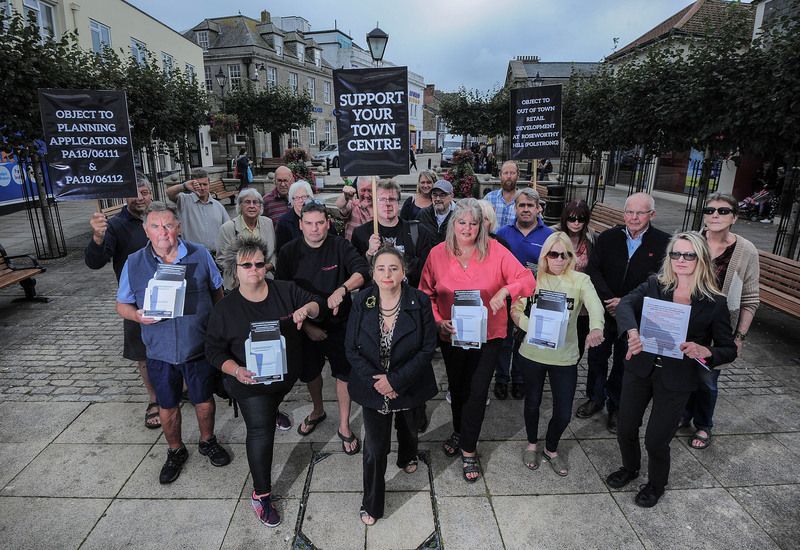 The body representing Camborne’s town centre businesses is calling for people to object to a proposed retail development on land to the north of Roseworthy Hill. The BID (Business Improvement District) board believes that plans for the 7.5-acre site will significantly impact on town centre trade. They also point out that the designated site is not allocated in the Development Plan Document and that official local plan policy is to support the high street. In addition to lodging an official objection with Cornwall Council and launching a social media campaign against the proposal, the BID team has produced objection forms for visitors and residents to complete. These will be available in some businesses in the town. They are also encouraging individuals to register their opposition via Cornwall Council’s online planning portal. “It seems ridiculous to be considering a proposal that will inevitably lure people away from our town centre – especially when there is sufficient vacant space within Camborne to accommodate many of the new units,” said BID Camborne Manager, Mel Martin. “The 200 plus businesses we represent work very hard to attract customers and we’re proud of the vibrant local community and healthy local economy that’s emerging as a result. “We’ve got a good range of shops and there’s a real sense of continuing improvement. Why risk damaging all that progress by agreeing to an out-of-town development housing outlets that could instead be built within the existing retail area? Lidl, Home Bargains, a filling station and coffee drive-through are amongst the businesses listed in the planning application. To register an online objection, click here. The planning application reference is PA18/06111 and PA18/06112.